I saw a chart the other day that mapped out how "accurate" different translations are. Unfortunately, based on the translations that were deemed "accurate," you could see that the author had a defective view of what "accurate" means. The old adage is that you measure what you value. If you value the replication of words, then the most formal equivalent translations will win. I am only somewhat amused at the marketing of the Bible that champions what they call "optimal equivalence," and surprise, surprise, they are the most optimally equivalent translation. The problem with their marketing is that I know the programmer who did the math, and his work is based on a reverse interlinear approach that sees the purpose of translation to be the replication of the words. You measure what you value. But two things happened to me the last couple days that illustrate the real issue. 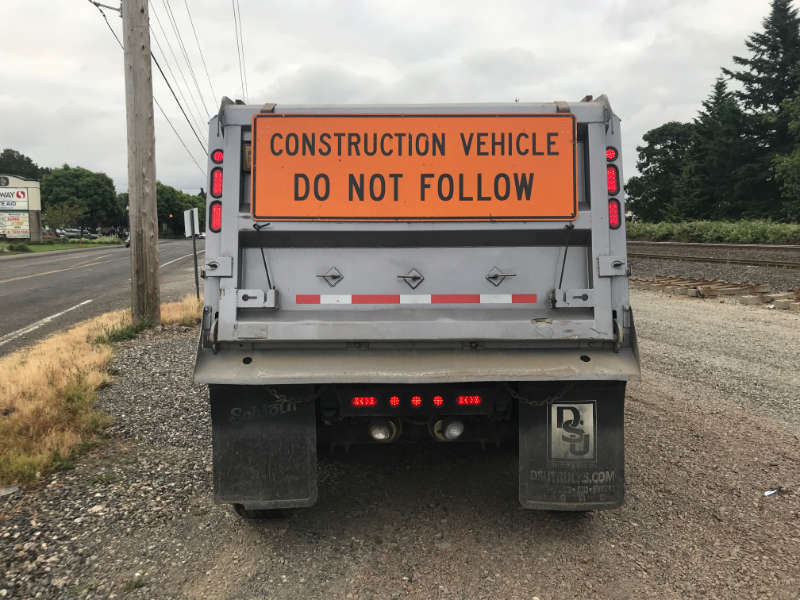 This morning I was driving to the gym and saw a construction truck in front of me with the sign, "Construction Vehicle. Do Not Follow." Now, if a German friend who didn't speak English were riding with me and wanted to know what the sign was, how should I translate it? The problem, of course, is that the sign does not say what it means. How can you not follow the truck in front of you? Once the truck is on the road, does the road have to be vacated until it leaves the road? Of course we understand that it means, "Do not follow closely." So what would be an accurate translation? If you said, "Folge nicht," would that be an accurate translation for your friend? Or would you have to say, "Folge nicht genau"? Does John 3:16 Say "Whoever"? I have received several questions about the use of "whoever" in the translation of John 3:16, so I thought it would be good to clarify at least one thing. Correct, the indefinite relative pronoun ὅστις does not occur in John 3:16, but language is not so monolithic that there is only one way to say something. In fact, whenever a commentary argues that if the author had meant to say one thing, he would have said it "this way," you should be suspicious. That's a naive approach to language. However, we do have an indefinite construction in John 3:16 with the use of πᾶς and an articular imperfective participle (πᾶς ἡ πιστευών) used to indicate a generic, "general utterance" (see Wallace, 615f.). Just do a search for that construction and you can see it is universal in intent. For example, "But I say to you that whoever looks at (πᾶς ὁ βλέπων) a woman to lust after her has already committed adultery with her in his heart" (Matt 5:28). Isn't Jesus saying this is a generic statement, true of all who look with the intent of lusting? Of course it is. Interestingly, v 28 is followed by v 32 that uses another explicitly indefinite contraction. "But I say to you that anyone who divorces (ὃς ἂν ἀπολύσῃ) his wife, except on the ground of sexual immorality, makes her commit adultery" (Matt 5:32). ὃς ἄν is explicitly indefinite and general. Greek scholarship is doing a better job these days at reading larger units of text and looking for more macro patterns rather than just looking at individual words or phrases. One of the patterns that has emerged in reading historical narrative material is that the aorist is the default tense, used to begin the narrative. Then, the imperfect is inserted in appropriate places to move the story along. This means that there is something explicitly significant about the tense change, and that emphasis should (I think) be explicit in translations. διέτριβεν is imperfect, but the simple "spent" is imperfective in meaning, so probably "was spending" is unnecessary (although I would vote for the later). One of the functions of the article ὁ is anaphoric. It points back to a previous reference. A simple but clear example is in John 1:7. John introduces the topic of Jesus being light in v 4. "In him was life, and that life was the light of all mankind" (NIV). It occurs again in vv 5 and 7–9. The problem is that most translations start a new paragraph at v 6 when John is introduced. Thankfully, there generally is not a heading here, just a new paragraph. Here is the problem. In this new paragraph, v 7 reads, "He came as a witness, to bear witness about the light (περὶ τοῦ φωτός), that all might believe through him" (ESV, and most). If you have been reading the larger unit, vv 1ff., the identity of the light is clear — Jesus. But if you start reading at the new paragraph, or start preaching with that paragraph, then the identity of the light is less clear. I assume this is why the NIV reads, "He came as a witness to testify concerning that light." They see the issue and translate the article explicitly as anaphoric, which it clearly is, and so say "that" and not "the." It appears they are the only translation to do so. By the way, there was an anaphoric article in v 4 as well. Did you catch it? In him was life (ζωή), and that life (ἡ ζωή) was the light of all mankind" (NIV, also CSB). When Bibles do, and don't, follow the Greek. A Couple Examples. Paul tells the Colossians church, "My goal is that their hearts may be encouraged (ἵνα παρακληθῶσιν αἱ καρδίαι αὐτῶν) and knit together in love (συμβιβασθέντες ἐν ἀγάπῃ), so that (καὶ εἰς) they may have all the wealth of full assurance of understanding, for knowledge of God’s mystery, which is Christ (εἰς ἐπίγνωσιν τοῦ μυστηρίου τοῦ θεοῦ, Χριστοῦ)" (2:2). There are a couple things worth noting. The first is the value of keeping dependent clauses dependent. The text doesn't say "encouraged and knit together." παρακληθῶσιν is the main verb in the purpose clause, and συμβιβασθέντες is a dependent construction (adverbial participle) telling us something about how they are encouraged. Paul is not saying that he wants the Colossians to be encouraged and to be knit together. He is saying he wants them to be encouraged by being knit together. At first glance, it may seem petty, but I don't think so. By making συμβιβασθέντες an independent construction, it diminishes the force of the single goal of being encouraged. It's also not what the Greek says (contra the NIV, CSB, NRSV, NLT) and is better translated by the ESV and NASB. The NET interestingly flips the order of the clauses to make their relationship clear: "My goal is that their hearts, having been knit together in love, may be encouraged."